You don’t hear much about Gilera these days, but there was a time in the 1950s when they dominated GP racing winning six titles in eight years and also tasted success at the Isle of Man TT with the legendary Geoff Duke aboard. Their last major racing success came when the late great Marco Simoncelli won the 250cc World Championship in 2008, but now owned by the giant Piaggio group they largely focus on the European scooter market. 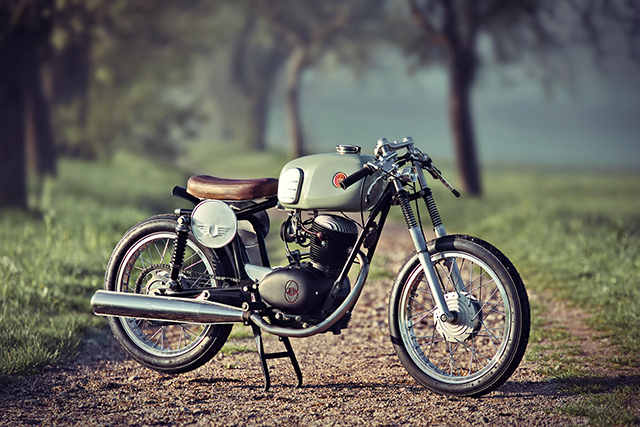 It wasn’t always that way for their road going offerings, in the heyday of the Italian single cylinder one of the bikes to own was a Gilera four stroke. Having tasted so much racing success in the ’50s the company took their technology to the road in an effort to boost struggling sales and it was the character filled singles, particularly the Gilera Giubileo range that would give consumers an alternative to the plain functionality or clunky 2 strokes that made up the bulk of the world’s offerings. 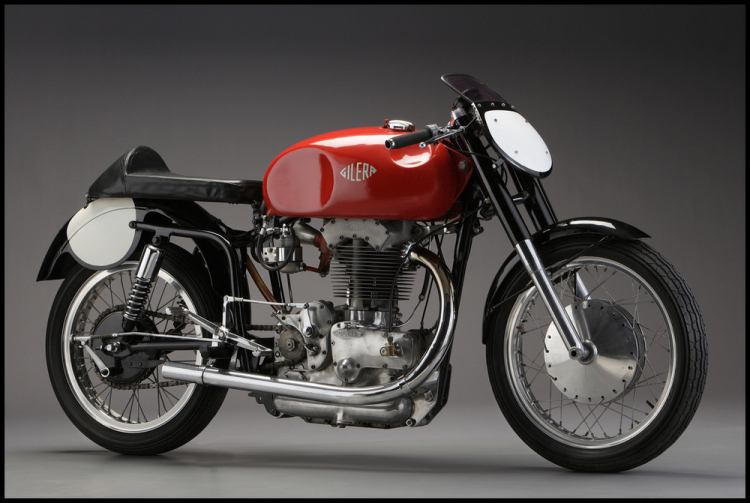 This classic 500cc racer was unveiled in the spring of 1948, compared to past Gilera bikes it was a new slick design. The Gilera was raced at the Dutch TT in June where prominent Japanese manufacturing reps took numerous rolls of film of the new racer (and no doubt ripped off). The 1949 season was a shake down for the new bike and went on to demonstrate its potential by winning several races but failed to win the manufacturer title that was clinched by one point by Les Graham on AJS. The head engineer actually left shortly after building this bike and went to work for MV Agusta. 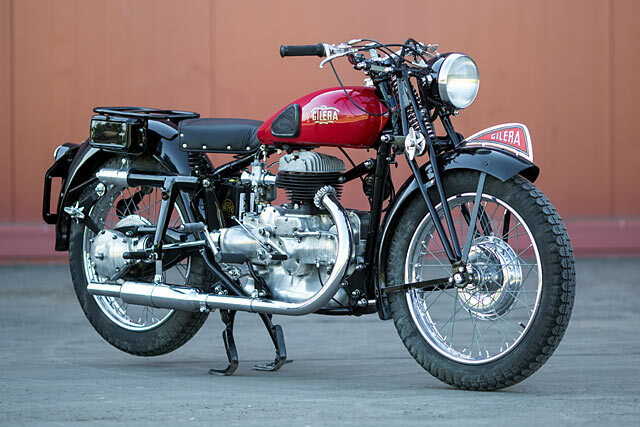 Funnily enough the 1950 MV Agusta looked very similar to this classic motorcycle. If you want to read the whole history visit Gilera-Saturno.